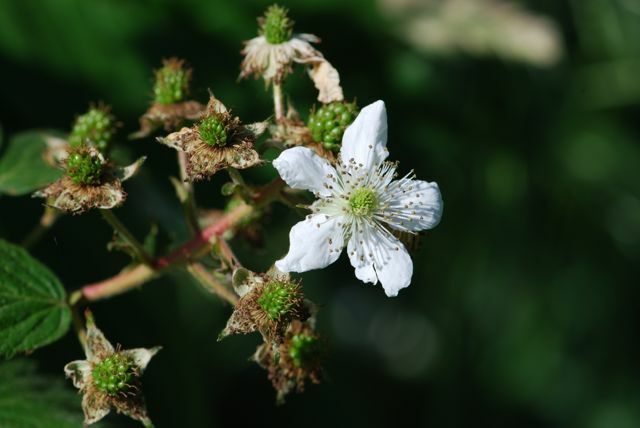 Anna was spot on when she guessed last week's mystery seeds were from blackberries, Rubus sp. 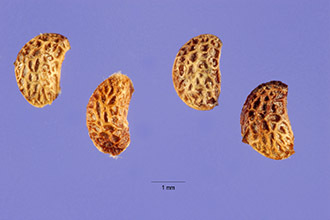 Unfortunately my photographs did not show the details found in close ups of mature seeds. 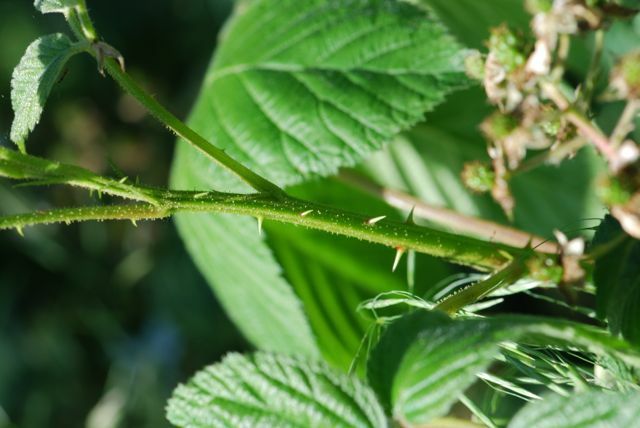 Check out the ridges and grooves in the surface of these black raspberry seeds, Rubus occidentalis (Photograph by Steve Hurst @ USDA-NRCS PLANTS Database). Don't they look a bit like sponges? 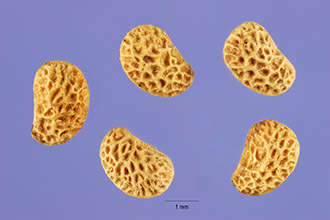 As you can see, these American red raspberry seeds (Rubus idaeus) also have similar structures (Photograph by Steve Hurst @ USDA-NRCS PLANTS Database). 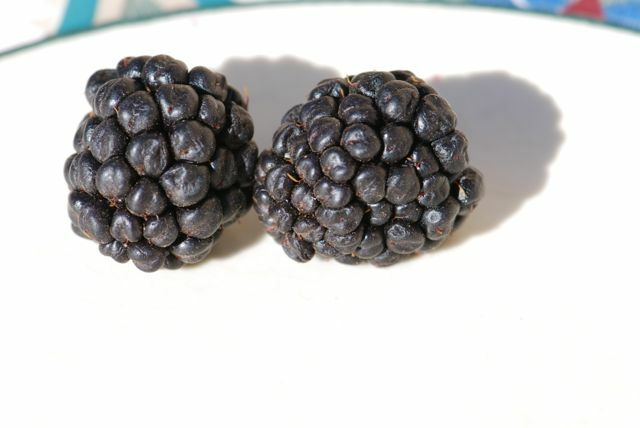 In any case, the seeds were from blackberry fruit. 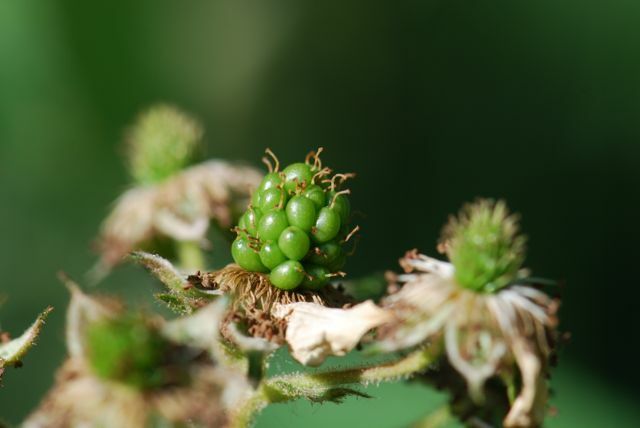 Botanically the "berry" is actually an aggregation of drupelets, each with a single seed. 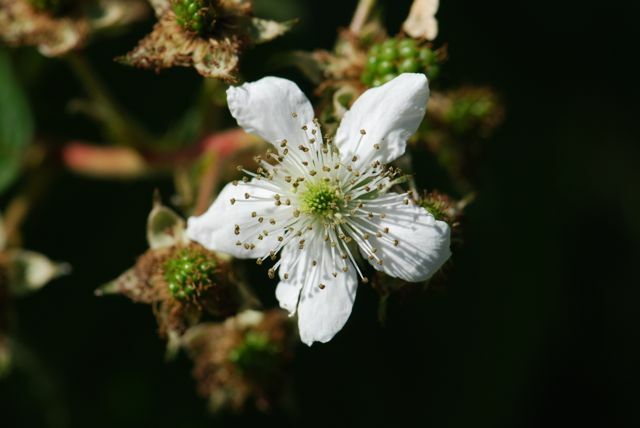 Blackberries grow on shrubby plants. The stems are covered with prickles. Various related species grow throughout Europe and North America. The flower is white with five petals. When the flower is pollinated, the petals drop off and the drupelets begin to ripen. All this comes from a single flower. Are blackberries ripe yet where you live? Do you have a favorite recipe for blackberries? I like your seed pictures. Thank you for putting them up. I tried to take a picture with my phone but the seed dropped and I lost it. 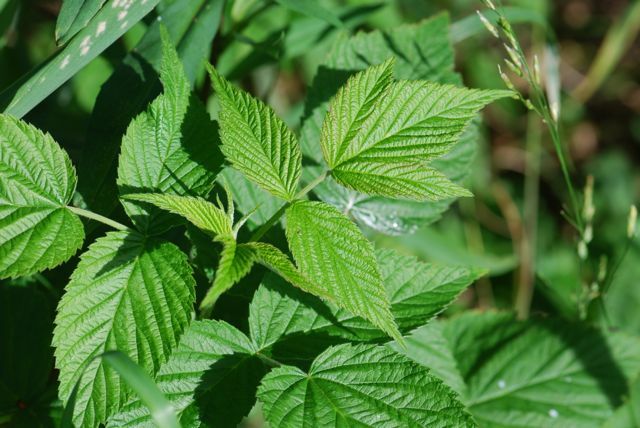 When I tried googling raspberry and blackberry seeds it mostly showed pictures of the fruit. So thanks for this.